A dip in the pool is definitely something everyone can enjoy. There’s a different feeling about being able to swim in the refreshing water that a pool has to offer and provides a bonding experience for many people. 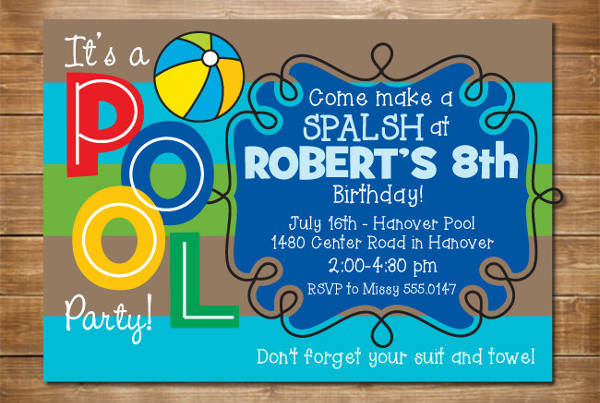 If you want to invite others over for a special fun time at the pool, then you’re in luck! 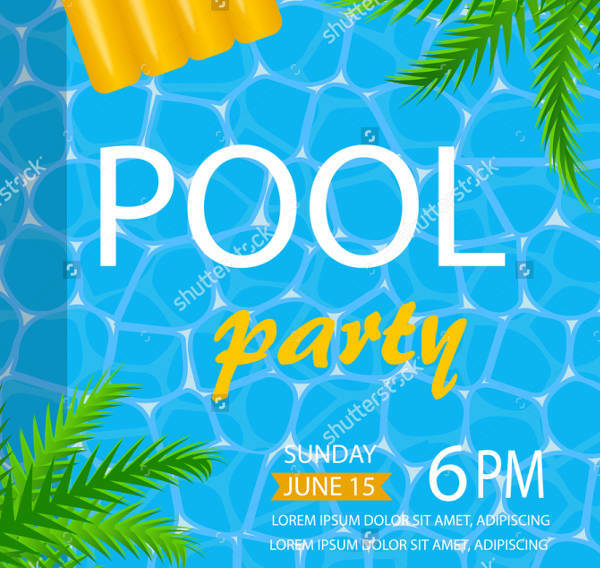 We have pool party invitations you can download and use to give away to those you want to attend to your pool party. Our website offers other invitations than just for pool parties. 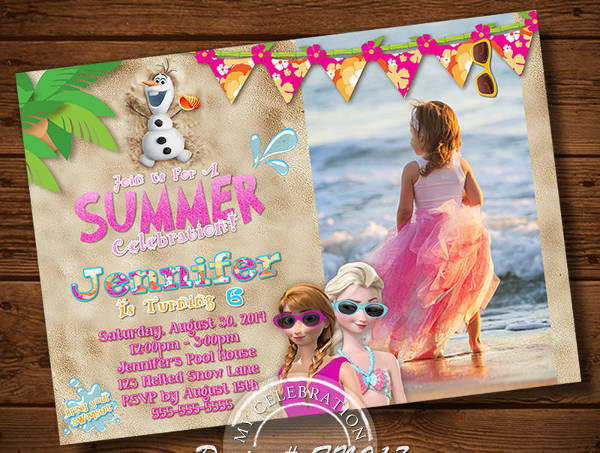 If you’re interested, check out our free invitation templates. There are many reasons for you to invite others over for a fun time at the pool—be it your pool or someone else’s. It can be a joy to receive these invitations yourself. Just think what others would feel when they receive one! There are many reasons you can invite others for pool parties. Summer. It can get pretty hot this time of the year. Why not invite others for a cool dip in the pool? 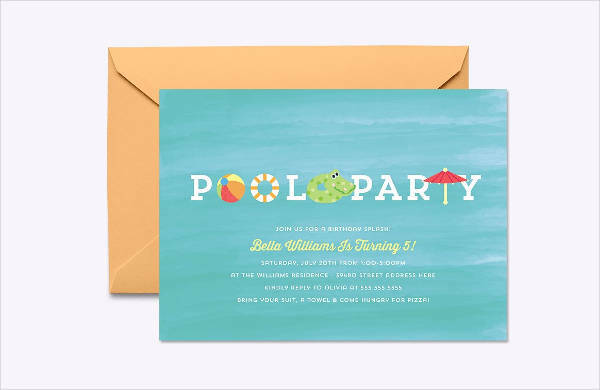 You can do that with the pool party invitations that we offer. It can be a great bonding experience and a good refresher to hold pool parties for the summer. Children’s get-together. Children really love going to the pool. 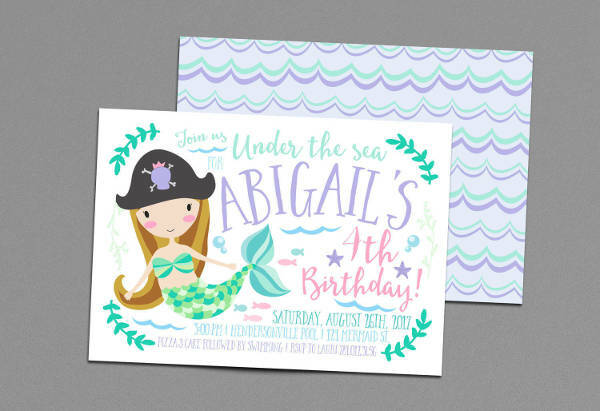 If you want your child to have fun with their friends, then you can invite your child’s friends and their parents with our unique invitations. Birthdays. Someone’s special day only happens once in a year. A pool party might be the perfect kind of party to throw for the occasion. You can practically invite everyone over for a dip in your pool for any reason. If you haven’t found the specific invitation card for what you want to use to send out to your friends, don’t worry. 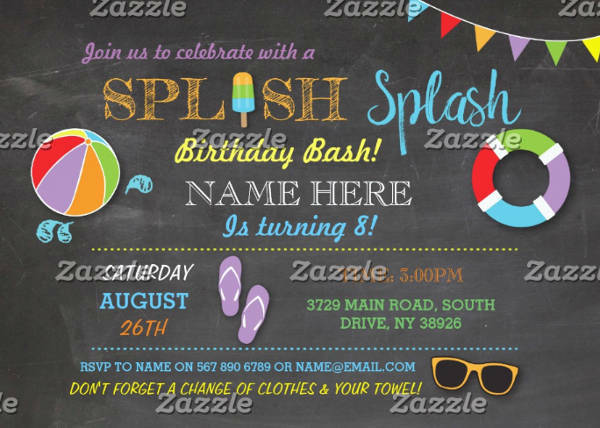 The party invitations on our website can be easily customized for any occasion. 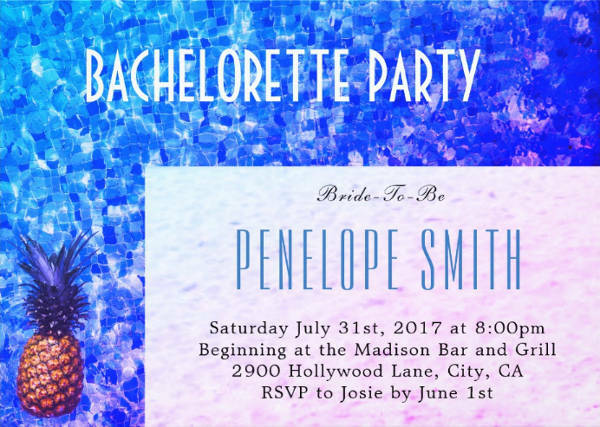 The invitations that we offer can help you make well styled invitations quicker than by doing it yourself. Using templates for all your projects will save you a significant amount of time and effort. 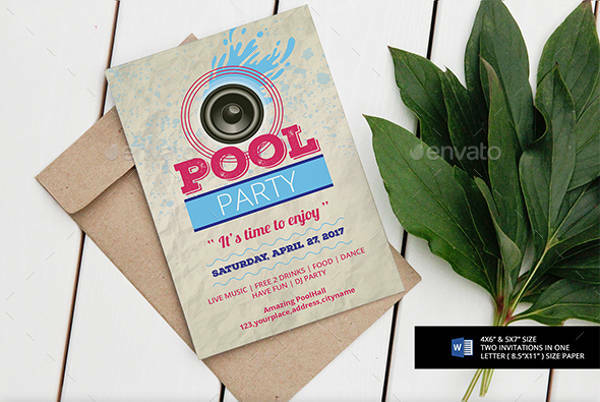 The pool party invitation templates have been pre-made for you so that you can invite others with a flashy invitation card. You don’t need to put any effort into making your own. If you do still want to be able to create the invites yourself, you can. 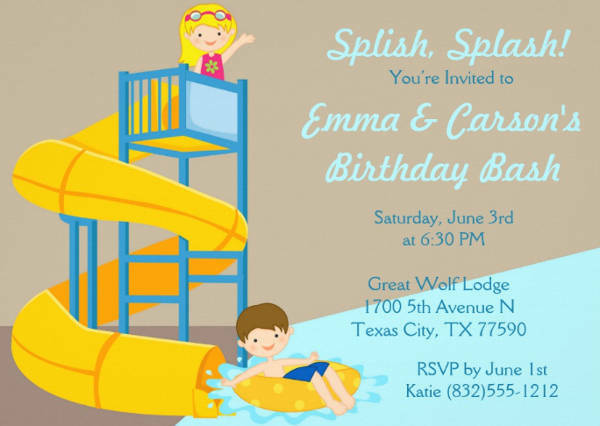 The invitations that we offer can be easily customized so that you won’t have much trouble making the invitation look exactly how you want it to. 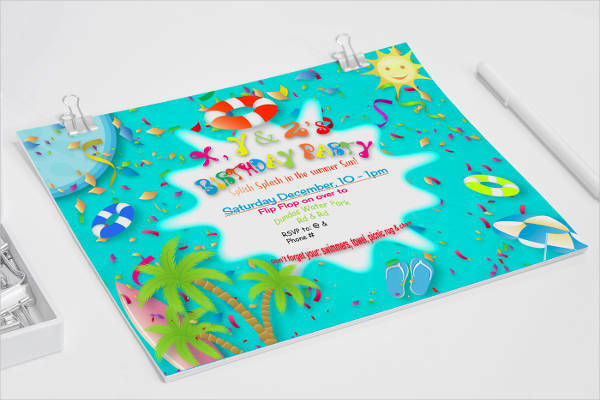 These pool party invitations can be used for any and all occasions. Just tweak the theme and the details to reflect your event and their good to go! Just make sure that you add in the correct details to avoid confusion. 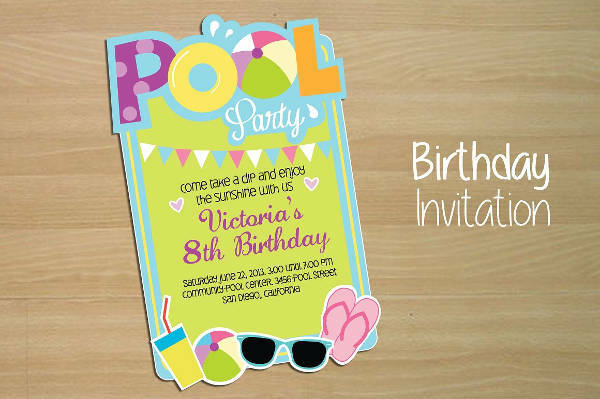 We truly hope that we were able to provide you with the invitation that you need to send out for your pool party.